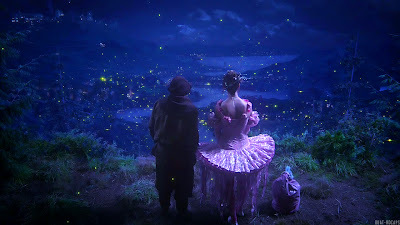 One of the many things I have loved since I was a little girl are fairy tales. I love everything about them; the mystery, the romance, the suspense, the fantasy, and of course, the magic. There is just something about these sorts of stories that stick with us, and we continue to cherish them well into our adult lives. 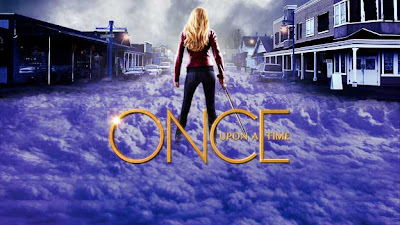 Since I love these stories so much, I decided to finally watch the television show "Once Upon a Time". What the hell took me so damn long?! I was instantly hooked, and watched all the episodes in two days, and now I'm here having withdrawals and patiently waiting for the newest episode. I want more! So I decided to create a look inspired by the series as a whole. 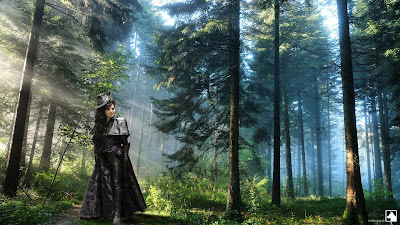 I took inspiration from bits and pieces - the magic, the scenery, fairy dust, green woods, the darkness, love, etc. These lashes have holographic tinsel! Wicked. Any of you watch Once Upon a Time as well? Who are your favorite characters? Mine are definitely Rumpelstiltskin, Snow and Charming, and as much as I want to yell at the screen, Regina is an excellent evil queen! OMG, Ronnie, you are sooooo great! I love your looks! Freaking Regina rocks the role like no other.... I mean Charlize Theron did a fantastic job, but that movie just didn't have the expectations I had. In this show, she is just so awesome. and HER CLOTHES!!! They dress her in some of the best outfits. I've watched the show since Day 1. Every Sunday. Little disappointed in their Mulan character, though, each line she said was really lackluster. Anywho, lol, I love this look! And I certainly love where your inspiration came from! OH EM GEE. 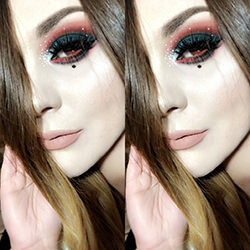 This makeup is magical! I am blown away! Wow, you did a fantastic job! Such a beautiful look! That is absolutely BEYOND gorgeous! Love it!! The look is just...wow! Amazing! The lashes add just the right touch, love it, like all your looks!! WOW! can it be anymore perfect?! LOVE IT! Amazing!! love this look! I watched the whole first season last week in 2 days also. Xsparkage had been doing a makeup series and when I saw they had added to netflix, I immediately started watching. 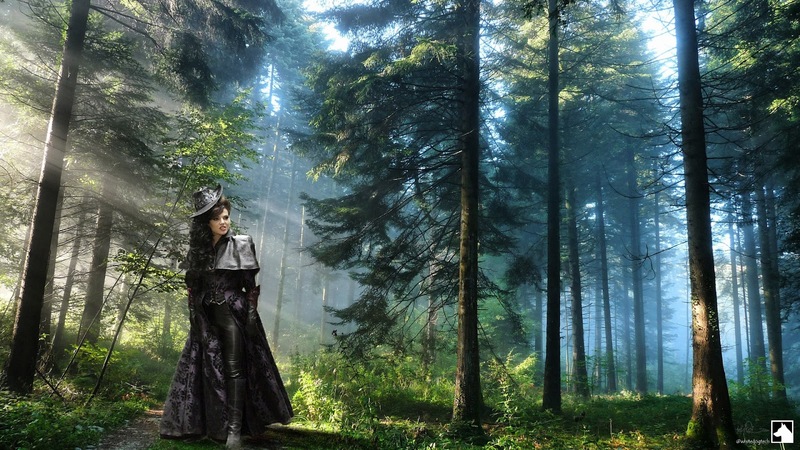 I adore fairy tales and disney movies as well. I dont know why I didnt start watching it sooner either. OMG I love your looks, gorgeous. Once Upon a Time is a WONDERFUL series! 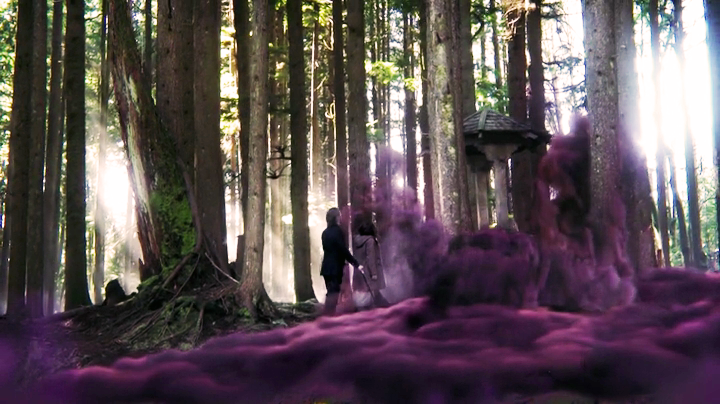 I love it so much and I really love Mr Gold. He's so scary. ^_^ And the look you've created is just breathtaking! Love the extra touch of the holo lashes! I started watching it because of xsparkage too! I've always wanted to watch it, but she made me want to right away! THANKS! omg, i just started watching Dr. Who and Supernatural! WEEE! Thank you! Omg i know...one more day! THANKS! yes, indeed! the show does not disappoint! Ahhh yes! Her wardrobe is fan-freakin-tastic. looove! totally amazing, as everything always is. The lashes are insane! So I just came back into the blogging world, and it was mainly because of your blog. You are SO inspirational and absolutely talented. Your work is flawless. so nice and lovely eyes . nice blog . please do a video on this!! PLEASE you are too talented not to be on YouTube.